This Portal Tomb has the largest capstone of any megalithic monument in Ireland. It weights over 100 tons and measures 20 sq feet and is believed to be part of an even larger boulder. The megalith can actually be seen from the road and does not look that impressive, but as you approach the dolmen the enormity of this structure almost takes your breath away. 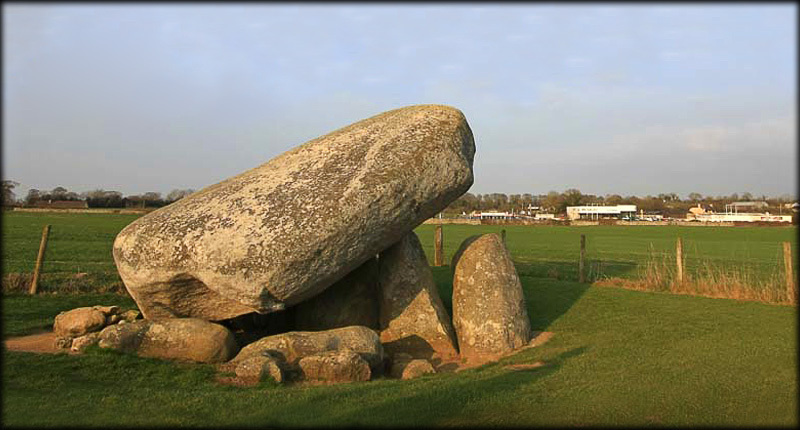 This megalithic structure belongs to the late stone age, around 2500 BC. Situated: Two miles east of Carlow, on the Hacketstown Road in Kernanstown, this site is well signposted with easy public access and ample car-parking. Discovery Map 61: S 745 768. Last visit March 2011.